In the snapshot of a business day, buying pens and paper doesn’t seem like a big deal. But have you stopped to calculate how much that is costing you over time? The little things do add up, in almost a sneaky way! This can have a huge impact on your business’ bottom line. Before you let it be a budget buster, let’s look at 9 tips to help save you money on essential office supplies. To save money on office supplies, you need to understand which items are your basic must-haves and which ones are splurges. To do that, take a look at the supplies you order each time. Do you need nicer pens? Or will the cheaper versions suit you just as well? Is supplying two printers a must or can you get away with using only one? By evaluating the necessity of each item and looking at cheaper alternatives, the savings may surprise you. Every little bit adds up, it will make you no longer miss buying those fancy staplers. Buying office supplies is no different than buying anything else for your business. You’re going to want to shop around for the best deal. It’s a practice that takes a little time at first but is worth it when you see the results on your bottom line. Get online and look at all the suppliers you have to choose from. Compare the prices of the items you buy the most. Don’t forget to factor in the cost of shipping. Talk with fellow business owners, ask them about which suppliers they use or recommend. They may have some inside knowledge of a supplier you hadn’t known about before. Sometimes it’s all in the name, and with many office supplies, that’s what you’re really paying for. Name brand products can be expensive but are they necessary? Consider buying store brand or generic versions of office supplies. Especially if the items you buy frequently are items such as staples and sticky notes. You could see considerable savings by making the switch. Don’t be afraid to buy generic with other items. Many times the quality is the same, if not better, then the name brand version. Experiment and see which items you like the most. There are some supplies you know you’re going to always need, like copy paper and pens. For items that are always in demand, consider buying in bulk. Many suppliers give discounts on items when bought in a large quantity, savings that add up over time. There are a couple of things to keep in mind when buying in bulk. First, you’ll have to be okay with spending a little more upfront to get the savings. Second, you’ll need to have the room to store your extra supply until it’s needed. 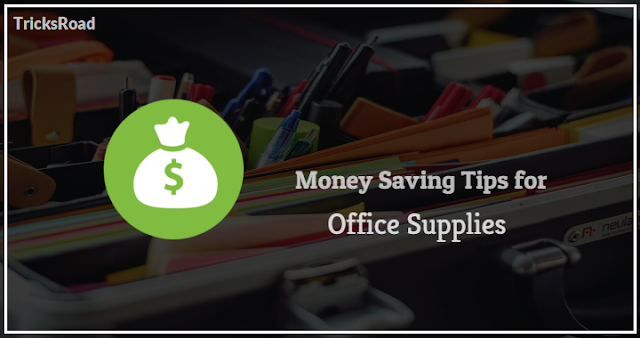 Many consider that a small price to pay when saving money on essential office supplies. Having an open supply closet may be convenient, but you might be going through supplies quicker than necessary. Employees may be taking more than they need. Or they could be taking items for their own personal use. Choose an office manager or administrative assistant as the supplies gatekeeper. They can help keep track of items going out and keep staff accountable for the supplies they take. If you’re not comfortable with that idea, limit the supplies you have out in the open. You can keep the rest of the stock locked away until needed. Reusing items you already have is a smart way to save money on office supplies. Plus, there are several creative ways you can go about doing it. Set up an area in the breakroom where employees can leave supplies they no longer use, such as staplers and binders. Make sure these items are still in great working order. It’s a way for other employees to take what they need without having to order brand new versions. Instead of throwing away all that scrap paper from the copier, set it in a box beside it. Employees can grab a supply for note-taking or phone messages without having to order new notebook pads. Before you head out to the store, check out how much you can save by buying office supplies online. Many suppliers only sell supplies online, such as GetInkToner.com. Without the overhead of a store, online retailers reflect their own savings in their prices. That means they may sell the exact same item as the big stores at a much lower price. Shopping online is also more convenient for you. You can order from your desk without having to disrupt your business day. Plus, many offer free shipping when you buy a certain dollar amount. One of the worst, and more costly, times to order supplies is when you have run out of something you need right away. Buying in a hurry likely means you’ll be paying more at a big store than you would if you had ordered in advance. To avoid this, keep track of how quickly you go through each item. Set up a regular schedule to re-order, well before you run out. You can also have someone regularly check your supplies in case something is running out faster than normal. Keeping ahead of the game will save you money in the long run. Many suppliers will reward loyal customers with a cost-saving contract. If you have a supplier you prefer, it’s worth checking out if they offer such a deal. These contracts give you savings on products for the length of the agreement. The savings can also include things such as free shipping and cash back perks. The key to the contract is to negotiate the supplies you buy most often, that’s where you’ll save the most money. Your business can’t run without office supplies, but you don’t have to let it strain your budget. Using these tips will help keep you stocked on essential office supplies while improving your bottom line. Want to know how to save your business even more money? Check out these 7 cost-saving ideas to cut down on your startup's expenses.